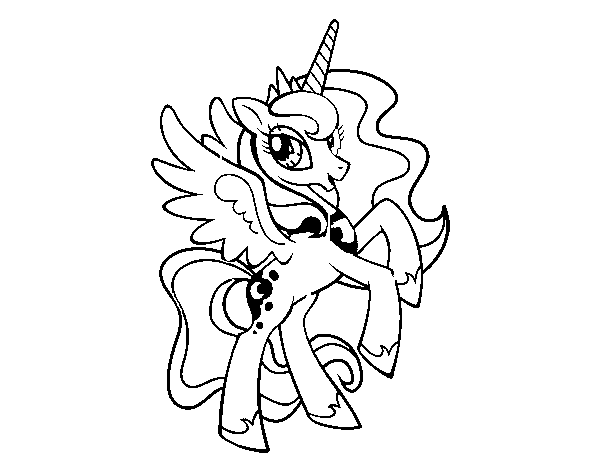 Princess Luna coloring page to color, print or download. Color online with this game to color My Little Pony coloring pages and you will be able to share and to create your own gallery online. i realy like this my little pony pricess luna colouring game ( plus she is my favaroute charecter from my little pony ) iwas very sruggling to find this game and i finally found it. it was so fun and also that was my second time i played this game oh and i also coloured in a lot of diffrent ponies too. i loooooooove it! can luna realy servive under water? Princess Luna coloring page to color, print or download. Color online with this game to color My Little Pony coloring pages and you will be able to share and to create your own gallery online. Princess Luna coloring page ©2019 - HispaNetwork Publicidad y Servicios, S.L.